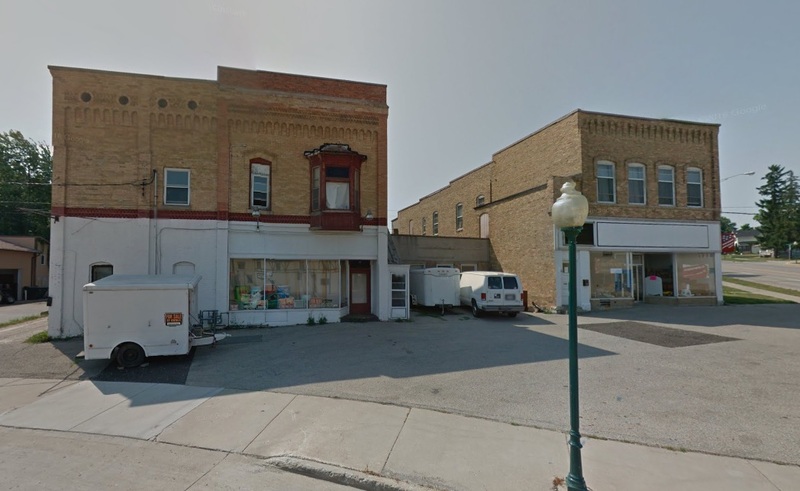 You’re familiar with You know Kaukauna, right? 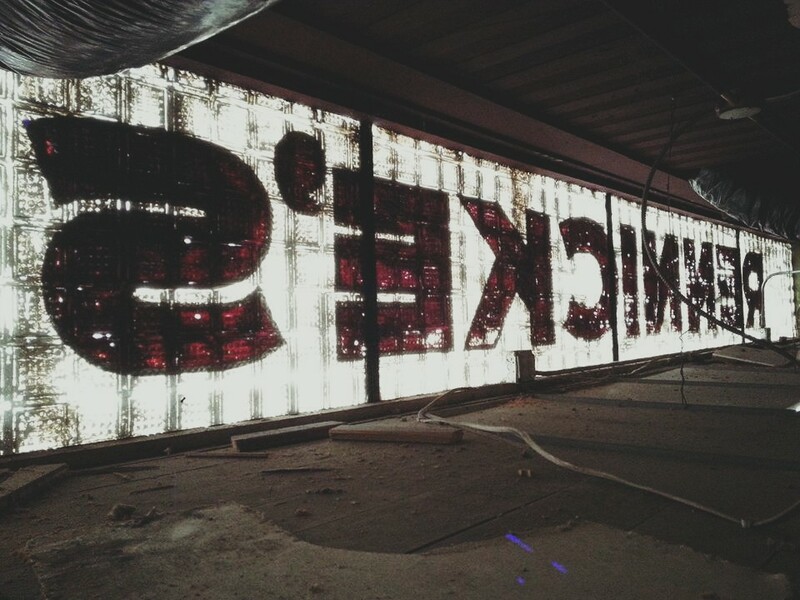 Do you know on which building this sign is located? The photograph was taken by Nate Vils of Shutter Freaks and posted to the Kaukauna Pictures Facebook group. Vils, who also works as an electrician, was doing some work of the renovation of this downtown landmark. 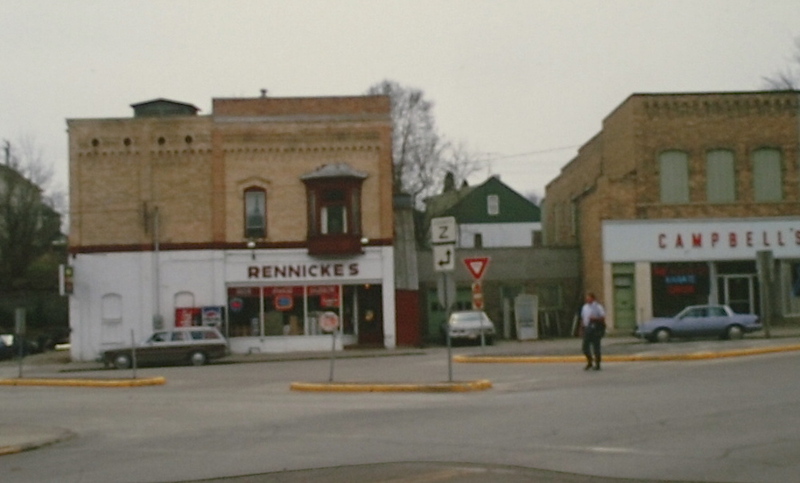 In the ’60s through the ’80s, it was Rennicke’s Beer Depot. Reports on social media say the building currently is being refurbished for a gallery and the building next door, the former Campbell’s, will be the home of a MetroPCS cellular store. The photograph below was taken about 1980, and the one below it is how the buildings look today.